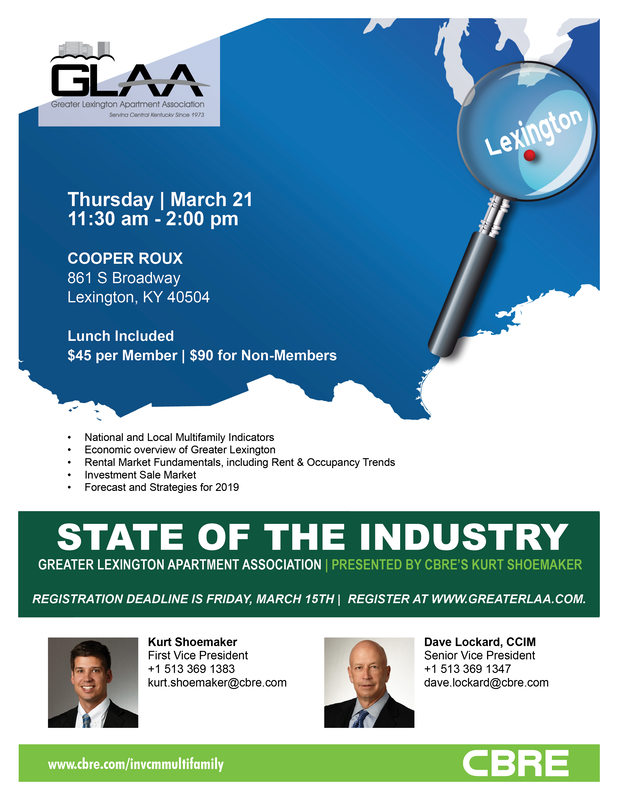 Join us for the first General Membership Meeting of 2019 - our State of the Industry GMM. This is a well attended meeting and we'd love to see you there. REGISTRATION IS NOW CLOSED. | Please contact the GLAA Office with questions at 859-278-6540.